I think this might be a new series just for summer, there are TONS of things that I’m obsessed with right now. I know that I adjust my makeup a bit in the summer to accommodate the humid and hot temps along with my browner skin (oh yes, brown folks get tan too!) so I really look for products that are long lasting, sweat proof and bolder in color. 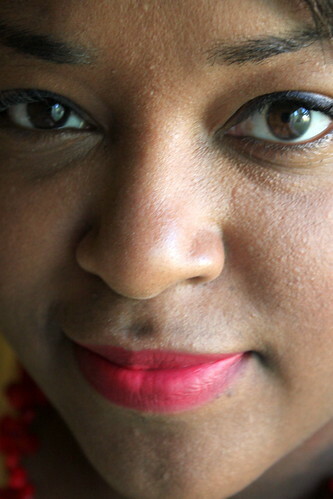 My latest obsession, Sephora Collection Cream Lip Stain in Strawberry Kissed. I am in love with this color. 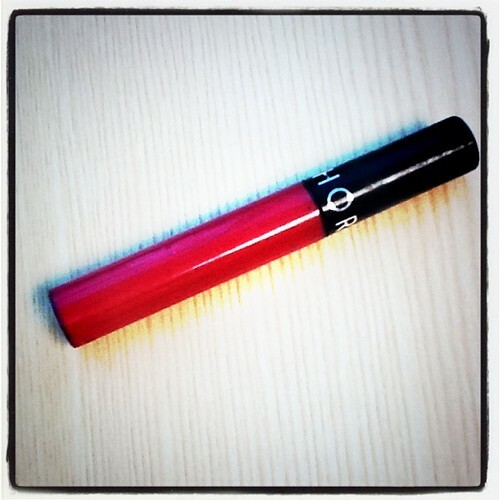 It’s a bright pink/red combination that is so vivid and gorgeous on my lips. The Cream Lip Stain is a fairly new product at Sephora, so I decided to give it a try. The texture is a creamy consistency but it dries fairly matte but with full color. It isn’t as drying as a traditional lip stain and the formula is really unique. My only gripe is that the moment I eat something, it all comes off – so it’s not 100% like a stain that will last all day long. I find that if I apply a lip primer first it lasts a bit better when eating, but honestly I have yet to find a lip product that will stay on for 8 hours including meals and drinks. So having to reapply isn’t a deal breaker for me. I do suggest applying this will a lip brush for a very precise application and look since the color is so saturated. I wish the color range was also a bit bigger just because I like this color so much. I’d love to see more options than just a bright red or a bright fuchsia. So have any of you tried the Sephora Cream Lip Stain? Thoughts? Are you going to try it?